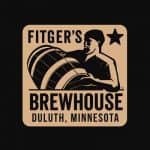 Duluth’s original brewpub serving Northshore style ales and lagers. Usually serving a dozen or so unique in-house brews. Special pub style food including in-house smoked fish, elk burgers, duck as well as more traditional pub fare.